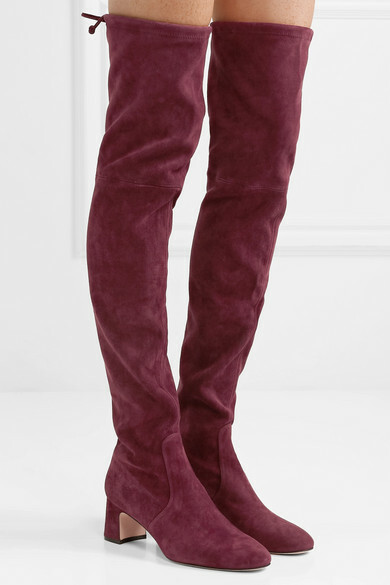 When you think of Stuart Weitzman, chances are the label's signature over-the-knee boots are the first thing that come to mind - the style became a sensation when Gisele Bündchen was photographed in a pair back in 2014. 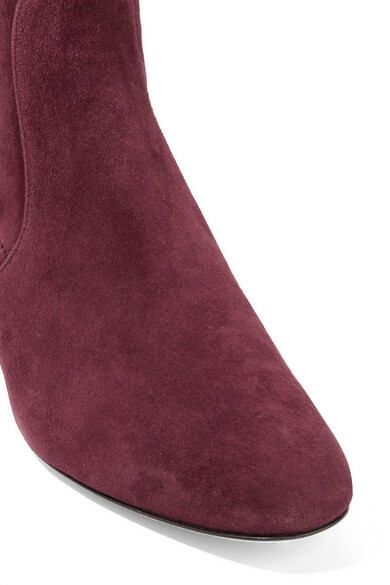 This 'Kirstie' version has been crafted in Spain from velvety suede and set on a comfortable 60mm block heel. Wear them with skinny jeans or under flowy skirts, adjusting the ties along the cuff to find your perfect fit. 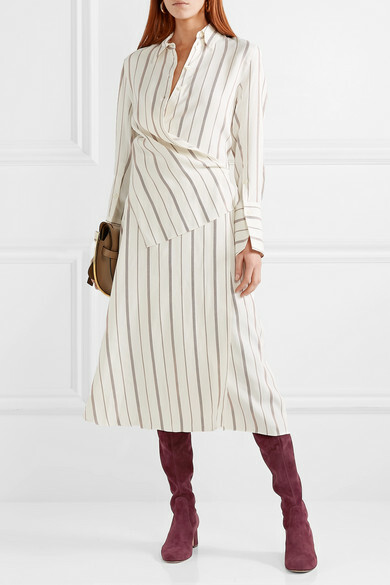 Shown here with: Joseph Dress, Loewe Shoulder bag, Jennifer Fisher Earrings.